The twelfth night of the month of Rabi al-Awwal is a night of the blessed memory of Prophet Muhammad (pbuh) throughout the Islamic world. 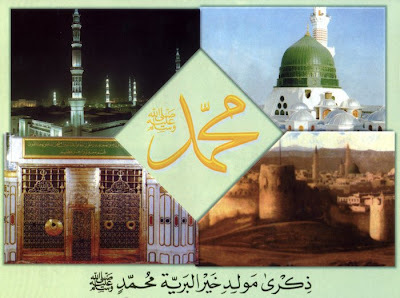 In every corner of the world countless Muslims wait for this night, praying, re-reading his biography and celebrating his auspicious birth with different rituals, customs and ceremonies, unique to every culture and society. These celebrations, no matter what form they take, are indications of various perceptions of the Prophet and the integration of Islamic notions with cultural patterns. From Europe to Asia, from the Americas to Africa, Muslims celebrate the birth of Prophet Muhammad; however, in the core of these celebrations we should not focus on the activities, but rather on the effort to comprehend his life and behavior. Indeed, we can observe that many Muslims try to refresh their knowledge and revive their love for Prophet Muhammad again and again. No matter what country, the celebrations of Mawlid bring people together and reinforce feelings of solidarity and brotherhood between Muslims. Although centuries have passed since the birth of Prophet Muhammad, the Mawlid is still a source of enthusiasm and emotion.